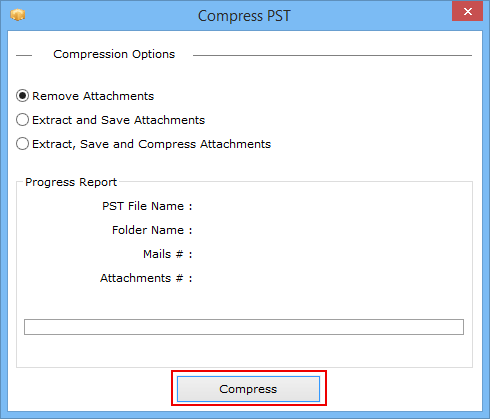 PST Compact Tool Compress or Compact Large Outlook PST Files without any data loss. 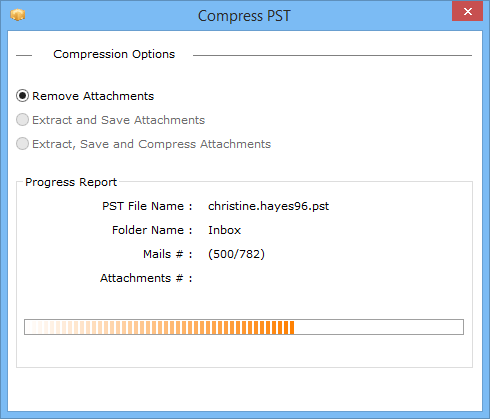 Compress large PST file size by removing, extracting & saving attachments. Provide facility of batch Option to compact multiple Outlook PST file size. Installation of MS Outlook is required to compact PST file of Outlook. Provide option to Extract, Save & Compress attachment during Compression. PST Compress Tool supports MS Outlook Versions: Outlook 2016 & below (32 bit). Software support both standard ANSI & UNICODE PST File types. The software will reduce the size of PST File as per requirements. To display all details of PST Files, PST Compress Tool generate a complete log report with a current progress report. This report includes details such as Folder name, PST File name, no of emails found & no of attachments founds etc. Using this option, user can extract the attachment of PST files. Even user can compress the size of extracted attachments to minimize the size of PST file. Tool will zip all attachments are found in PST file. 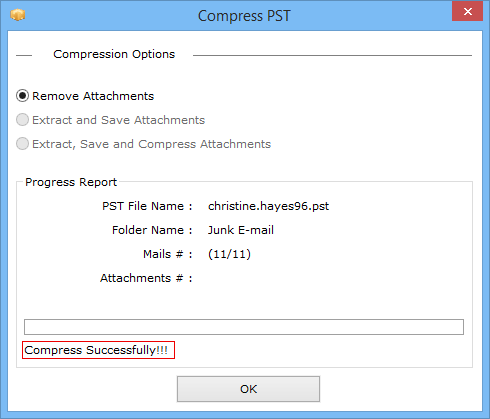 PST Compress Tool supports all version of Microsoft Outlook 2013 and all below version (32 bit only). 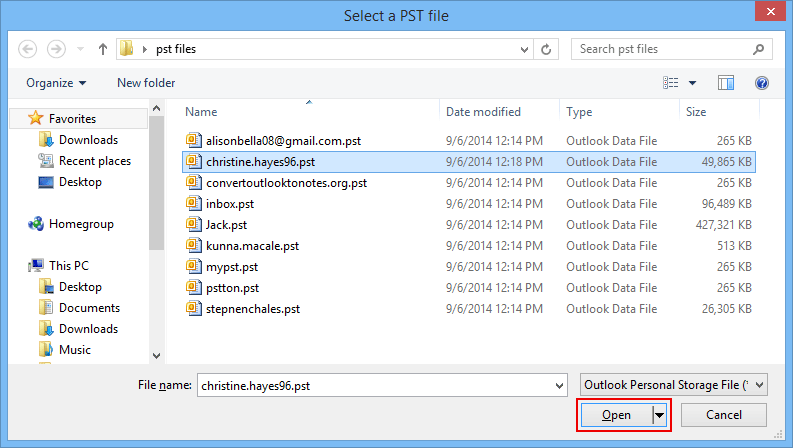 Quicky compresses large Outlook PST files & extact attachments from it. An Outlook profile data such as emails. Calendars. Tasks details of the user stored in PST file format. As the number of files increases, size of PST file increase and lead to the various unwanted problem and can lead to data loss. The Common problem faced by the user related deleting unwanted data items as these file increase the size of PST file. If attachments files related to emails requires are large in sizes then can result in large PST file. As Outlook PST file has size limit, whenever size reaches to their space limit, Outlook not responding properly. PST Merge Tool is an advanced tool to reduce the size of PST File without any data loss. The user can reduce the size of both format of such as ANSI & UNICODE Format with PST Compress software. Tool not only shrink the size of Outlook file, but also offers different option to extract and remove attachments. 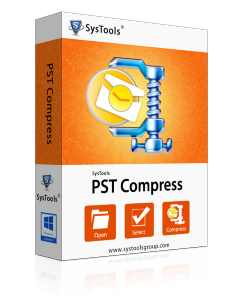 Install & Run PST Compress Software within system. Select single PST file using "Add File" option and similarly if multiple PST files are to be added then select "Add Folder" option. Now browse the location of PST File in the local system. Select the specific PST file, Click Open. To Unselect or Remove PST File from the software, Select Remove option. 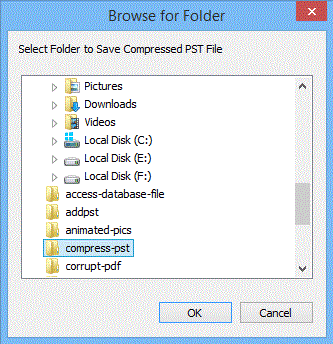 Click "OK" to select complete PST folder of PST files in PST Compress Tool. Click on Compress PST option to start the process. 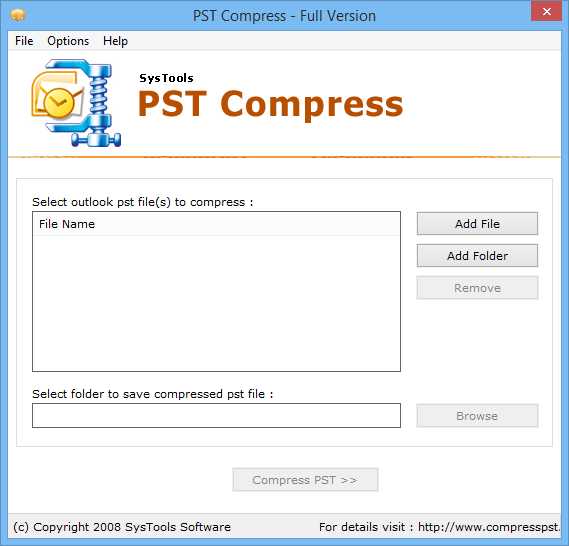 Select the compression Option provided by the software to reduce the size of PST File. 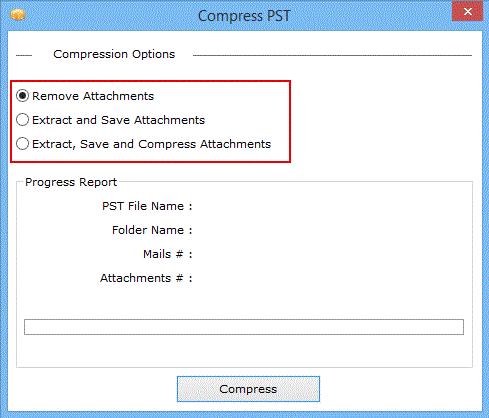 Remove Attachments: Removed all attachments of selected PST file & compressed PST file. Extract, Save & Compress Attachments: In this option, saved attachments related to PST files compressed in Zip(.zip) folder in separate folder. After selecting compressed option, click on Compress Tab to continue the process of compression. The Software will display the progress bar of compress on the screen. PST Compress Tool- Replies All Doubts & Queries! Does software compress PST File in Bulk or batch? Yes Software can easily process multiple pst files at a time. Also, compress Batch items in short duration. 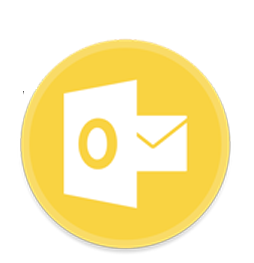 Is it necessary to install Outlook to work with the software? Yes, you have to install Outlook for running this software. Outlook should be configured properly. During Compression, Is Software did any changes in the original OST file?? No, software doesn't change the content of the original pst file. It only reads original PST file. 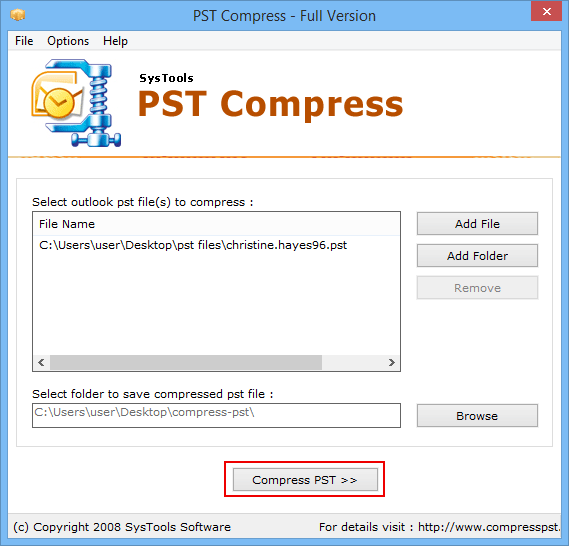 Great Tool to compress large PST file, without any damaged to the original file. Really impressive tool to compress large PST file. 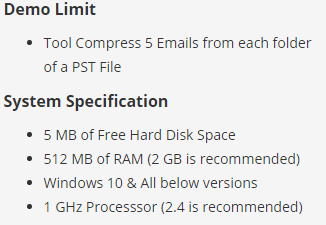 I was finding a tool to compress large PST files of Outlook. The size of my PST is huge, So to avoid corruption issues, I refer PST Compress Tool, It works amazing without any issues. Finally able to shrink large PST File of Outlook 2013 edition with the Merge Outlook PST tool and save all the attachment associated with emails files as backup. At last able to manage the large size PST files of my Outlook application after using Compact PST File software. My friend recommend the software and really its doesn't disappoint me.